It is not usual that the small Rottne H8 thinning harvester is the largest machine in the logging crew. Most often goes the H8 together with a strip road operating 10-ton forwarder in thinning. 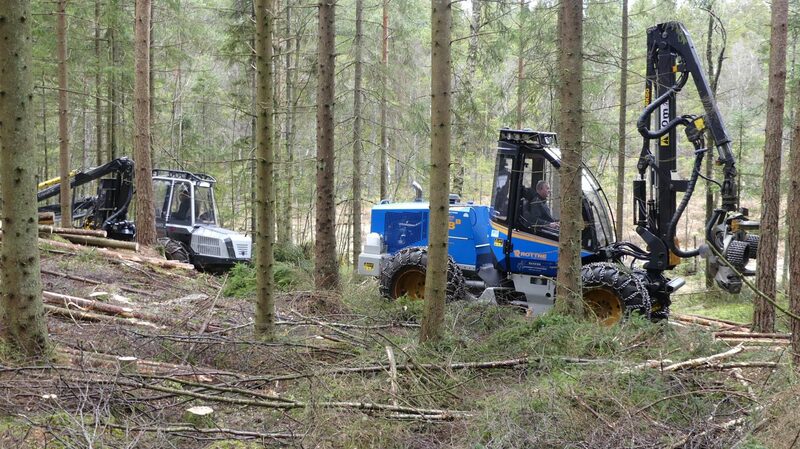 When Forestry.com visited forest contractor Egon Jonsson at a thinning site close to Skepplanda in west Sweden, the H8 harvester suddenly felt to be the larger one compared with the Malwa 560F forwarder. Egon operates, since about a year back, a thinning group consisting of a Malwa 560F forwarder and a Rottne H8 harvester. Forestry.com had an interesting talk with Egon and saw a low impact logging concept in thinning. The result was narrow strip roads and a nice remaining stand. There is a movie and some pictures from the visit further down here. -From the beginning I drove a Husqvarna thinning processor, but then there was single grip harvesters as the ÖSA EVA and Gremo harvesters. Since 2009 I have used the Rottne H8, and now I’m on my second machine of the model, says Egon. It is a two year old H8B which currently has 3900 hours on the meter. Until last year Egon did thinning where other contractors hauled with the ordinary strip road forwarders but for several years he wondered if it wouldn’t be possible to use a smaller machine, to reduce the strip road width. 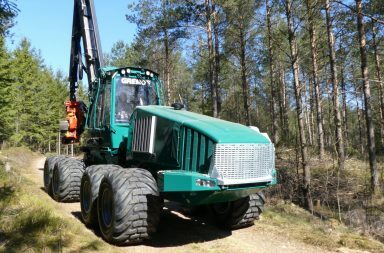 -The H8 is only 2.26 meters wide including chains but to cut the roads more than four meters wide is no good for the remaining forest, says Egon. All pieces of the puzzle fell into place when I learned that a talented guy and forest owner in my neighborhood had grown tired of his industry job and longed for a job in the forest. -I had seen that he was a good operator and did nice jobs with his tractor and forest trailer. When he found out that I was interested in a forwarder operator, he jumped directly! 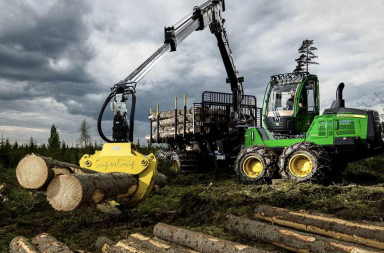 Egon and Peter, whom he named, went around and looked at the options were among smaller forwarders and the choice fell finally on the Malwa 560F. That’s according to Egon a small machine that still has the capacity for professional use. The Malwa has a great powertrain and with the Cranab FC45DT with double telescope it has a crane with excellent capacity and range. The fact that it’s it just an hour to the Malwa factory in Skene also had some crucial impact on for decision. 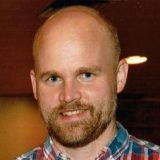 -I wanted to try this concept with a small forwarder and could not expect someone else to take the risk to test these ideas. So, the alternative was to buy my own machine, explains Egon. The Malwa was delivered in February last year and it currently has 1750 hours on the meter. Now we have tried this concept in just over a year and I think it works very well, says Egon. Egon has looked through the production figures for the first year and they show that the H8 has cut some 10,500 cubic meters (solid under bark). The average stem (trunk) volume over the year remained at 0.091 cbm/tree. The Malwa has hauled roughly 9,500 cbm during the same period. The difference of one thousand cubic meters has partly been hauled by forest owners who have preferred to forward with their own machines or farm tractor trailers. Secondly, he had at some sites with long hauling distances hired a contractor with a larger forwarder. There are certainly contractors and operators producing 15 000 cbm or more per year with a Rottne H8. Egon is, however, clear that he has no ambitions to be on that level. -I think it is a good balance today between the capacity of the H8 harvester and the Malwa forwarder and it’s only if the hauling distance increase that the Malwa will fall behind. Egon estimates that the average hauling distance is some 250 meters. When Egon cut thinning with the Rottne H8 together with larger, strip road operating forwarders, he worked by the “traditional” H8 method. With wider strip roads for the forwarder every 20-25 meters and in between the strip roads he cut “goast tracks” (or secondary roads) with the harvester. The wood that was cut around the goast tracks was put aside the strip roads. Now the method is a little different. Actually, you can call it strip road thinning but with narrow strip roads. The Malwa forwarder goes on all roads made by the H8 harvester. The road width is around three meters if it is flat. Terrain with a gradient requiers a wider road. All slash and residues (tops and branches) ends up in the strip road and provide a good protection “carpet” for ground and root damage. The distance between strip roads is around 14-15 meters from roadside to the roadside. I measured a few “random” and that seems to be the case. The roads are not perfectly straight. Egon winds around main trees who he thinks should remain. This means that the distance between the strip roads can vary and sometimes the harvester need to make an “insert” to be able to finish the thinning work completely between roads. It goes smoothly with the narrow Rottne H8 harvester. Gradually, Egon and Peter learned where the limits are for “the winding” before it becomes damages on remaining trees or other problems. 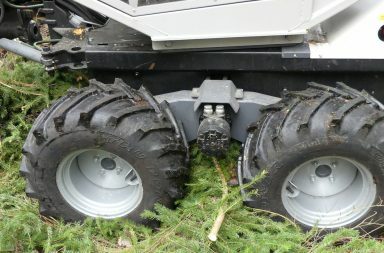 Since the Malwa forwarder is relatively short and the load stands out a bit behind the rear bogie, it can cause damage on roadside trees if the road turns too much. Stand after thinning. Low impact logging. I meet Peter in the Malwa forwarder when he unloads a full load at a high pulpwood stack. The landing start to run out of space so he need to use the entire length of the crane to bring up the timber high. Peter says he is very pleased with how everything works in the Malwa. The final results in the thinned forests are very good and if it’s not too far to drive, he manages to keep up with Egon in the harvester. The machine has worked well and there has not been any trouble to solve minor problems encountered. The short distance to the Malwa factory in Skene is a plus. I’m trying to push Peter if there are any improvement opportunities and the first thing that comes up is that sometimes it would be nice to have bogie wheels even at the front. Sometimes it would provide a little more stability and maneuverability of the machine, said Peter. Then, the ground clearance could be better but for the most part, it is good still said Peter before he empties his load and then hurry on into the site to get the next one. According Malwas website, their forwarder 560F weight 5,4 (metric) tons and it takes a load of 5,5 tons. The load area is exactly two square meters and according to Egon then average load size is 4,5 cubic meters (solid under bark). Slightly less than half of what a “normal” strip road thinning forwarder use to take. One might ask how then the equation can be affordable but the Malwa of course has a lower capital and fuel cost per hour while the machine operator of course should cost the same whether he is running a Malwa 560 or a larger forwarder. Egon says he gets SEK 10-15 more per cubic meter for the Malwa than a normal tariff for this kind of work but for the harvester he runs at normal price levels depending on the average trunk size. At this site Egon works for sawmilling company Vida who has purchased this wood. Vida pays extra for longer hauling distances, but it is the same regardless of the type of forwarders. Egon think that the productivity of the harvester will be higher when he “only” cut strip roads than when he did the goast tracks but he has no idea how much difference there is. Another thing that Egon, however, is clear is that the planning work reduces the scope of this method. -If there isn’t a lot of ditches and power lines that need to be taken into account it is possible to reduce the pre planning workt considerably and Egon expects that it corresponds to a cost of SEK 5-10. With small roads in a distance of 14-15 and that can wind a bit, it’s easy to run up the next parallel road with only the road as a reference which then reduces the need to mark the strip road structure in advance. -From the beginning I had to work quite hard with the purchasers at Vida before accepting this machine concept, says Egon. It was mainly the forest owners who pushed and wanted smaller machines and honesty should also be said that there was a purchaser who was positive from the start. Now, when we have been running a year, it’s only positive among the company Vida. And it’s not uncommon that forest owners who heard about us is coming out for alook and want us doing thinning in their forests. There is according to Egon a huge need for thinnings to be done and there is no problem to get full occupancy of this small machine crew. An interesting detail of Egons Rottne H8 is that he use 600 tires without liquid filling. His last harvester, the older H8, had 500 tires with liquid filling and he feels that the H8 with 600 tires without liquid is just as stable (or unstable) as the old machine with fluid in the tires. It makes 400 kg per wheel by four, which is more than 1.5 tons lighter. -I think it shows the difference to the better when it comes in softer soils says Egon before he kicks off the harvester again and sneak away between the trees. Rottne will launch an update of the H8 harvester at Elmia Wood 2017. The new H8D. Read more about Rottnes H8 harvester at their website.